A public service committee scrapped by the former Labor government will be re-established in a bid to avoid another ‘Port Adelaide office block’ debacle. InDaily revealed yesterday that taxpayers will be liable for millions of dollars in ‘dead rent’ in prime city real estate while up to eight floors of Westpac House offices vacated by bureaucrats being relocated to the Port sit vacant until their lease expires in December 2019. It follows the move by the former Weatherill administration to build the $40 million office tower on the corner of Nile and Robe streets in Labor’s Port Adelaide stronghold, with the influx of public servants hoped to help revitalise local businesses. Treasurer Rob Lucas, who described the Port venture as “not only a white elephant [but] a financial disaster for SA taxpayers”, told InDaily he was in the process of re-establishing a Government Office Accommodation Committee, a high-level inter-departmental panel that would have oversight of such decisions in future. “It existed under the former Liberal Government, and at some stage under the Labor Government for some bizarre reason they got rid of it,” he said. “Essentially its main purpose is if governments come up with some hare-brained idea – to build a new public service facility at Port Adelaide, for example – the committee has to look at that proposal, look at the leasing arrangements… all the things that should have happened in this instance… and determine the impact on whole of government costs. 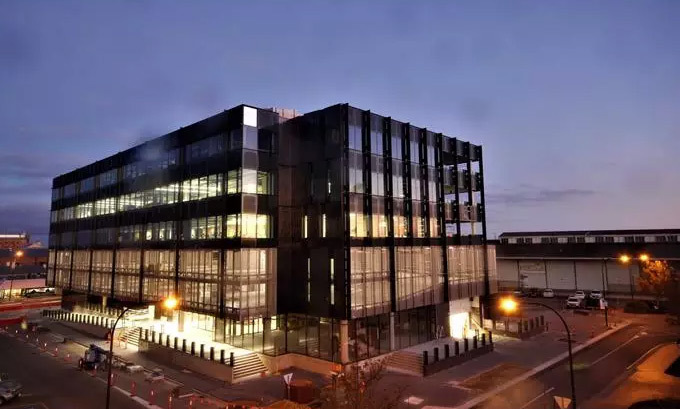 He said while the Port Adelaide development has had a major impact at Westpac House, Labor’s initial plan was to move bureaucrats from Renewal SA at the Riverside building – which had an even longer lease. “The dilemma with that one is the dead rent would have been up to two years,” he said. Another proposal considered, according to Lucas, was shifting shared services staff currently located at the government-owned Wakefield House, on the corner of Wakefield Street and Gawler Place. “The dilemma with that was it’s not the highest quality stock, [so] it’s not up to the high-quality standard that people want to move into… so we would have ended up with dead rent in a government-owned building, with very little prospect of private sector people coming into that particular tenancy,” he said. The Government Office Accommodation Committee is listed among the 105 boards and committees axed by the Weatherill Government in its 2014 red-tape purge. It is listed with a recommendation to “abolish” and transition its functions to the then-Minister for Transport and Infrastructure, supported by the Department of Planning, Transport and Infrastructure. “I could never find a good reason as to why they got rid of it – it makes no sense at all,” Lucas said. He said “the simple reality is there needs to be a whole of government look at these sorts of leasing proposals”, with the Port plan set to lose “tens of millions of dollars over the long term, in terms of cost to taxpayers”. “I’ve had discussions with [Planning Minister] Stephan Knoll, who is in furious agreement, and we’re working through processes for re-establishing the Government Office Accommodation Committee,” he said.